(69th Regiment State Militia), was later Scales’ home. He moved to Greensboro in 1873 and served as governor from 1884 to 1889. The present courthouse was built in 1907 to replace the 1824 structure that burned in 1906. Secession meetings had been held in the old courthouse, and there several Confederate infantry companies were formed. Location. 36° 23.931′ N, 79° 46.3′ W. Marker is in Wentworth, North Carolina, in Rockingham County. Marker is at the intersection of State Highway 65 and Tyre Dodson Road, on the right when traveling east on State Highway 65. Touch for map. 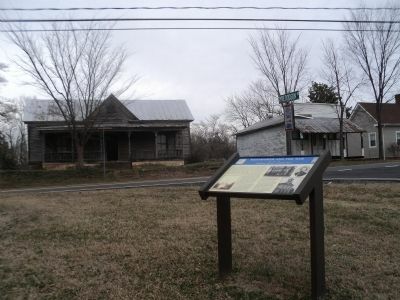 Marker is in this post office area: Wentworth NC 27375, United States of America. Touch for directions. (approx. 6 miles away); Leaksville Landing (approx. 6.1 miles away); “River boat Men: Dan River, 1792 – 1892” (approx. 6.3 miles away). 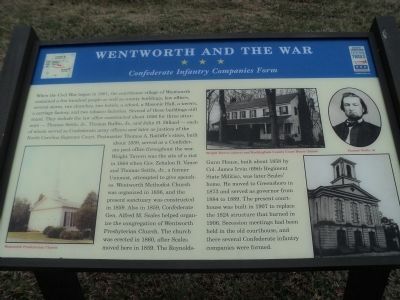 Touch for a list and map of all markers in Wentworth. More about this marker. A portrait of Thomas Settle, Jr. appears at the top right of the marker. 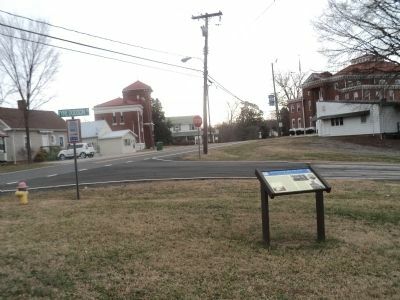 Elsewhere are photographs of the Wentworth Presbyterian Church, the Wright Tavern and the Rockingham County Court House. More. Search the internet for Wentworth and the War. Credits. This page was last revised on June 16, 2016. This page originally submitted on February 6, 2013, by Bill Coughlin of North Arlington, New Jersey. This page has been viewed 348 times since then and 9 times this year. Photos: 1, 2, 3. submitted on February 6, 2013, by Bill Coughlin of North Arlington, New Jersey.